No surprise, the biggest driver of changes in advertising strategy are viewers’ changing consumption behaviors. 100% of advertisers (and 80% of all respondents) said these changes required them to deliver cross-platform audience reach. To accomplish this reach, advertisers are turning to audience-based, data-driven strategies that move past traditional age/gender targeting. A total of 87% of respondents said they will be transacting on data within the next 2 years. Use of third-party data specifically registered as a key driver of data-driven approaches, with 85% of respondents citing it as their motivation. The change in approach is meant to generate improved return on advertising spending (ROAS), an increasingly important metric in the digital era. 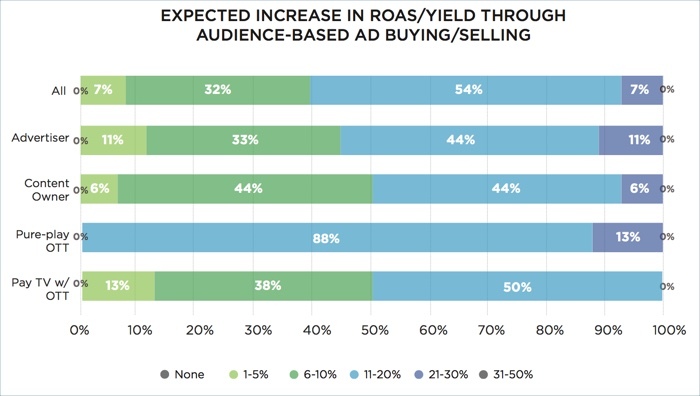 Among advertisers, 44% of respondents said they expected an 11%-20% increase in ROAS by shifting to an audience-based/data-driven ad approach, with another 33% saying they’d expect a 6%-10% improvement. 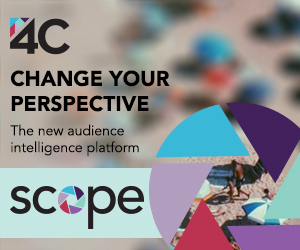 However, shifting to an audience-based/data-driven ad model isn’t without its challenges. 49% of respondents called out data security and implementation expertise as the top challenges, with others, such as measurement and pricing also highlighted. The research also includes other useful data on the value of mobile video, the value placed on audiences on different platforms, timelines for adoption of audience-based approaches and more.